People who want to buy their own home have a variety of mortgage options available through Freddie Mac loan programs. Below is more information about the best Freddie Mac mortgage programs available for buyers and those who want to refinance. Freddie Mac mortgage rates continue to be competitively priced with housing affordability always being a top priority. Since 1971, Freddie Mac has been helping renters become homeowners with obtainable mortgage guidelines in all 50 states. One of the most popular Freddie Mac loan programs today is the Home Possible Mortgage Program. This program is similar to those offered by FHA to help home buyers with lower credit, income and down payment to buy a home. It can be used both for a buying a new home and for refinancing. The Home Possible program allows home buyers to purchase a home with a down payment of just 3%. This program is available for buyers who get their down payment as a gift or a seller concession. One of the benefits of the Home Possible program is that when you qualify for it, you may be able to use rental income to get approved. For many other programs, you cannot use rental income to qualify. For instance, if you buy a single-family home and rent out a spare bedroom, you may be able to more easily qualify for the Freddie Mac mortgage. Borrowers also may combine the Home Possible mortgage loan with a gift, any type of employer home purchase assistance program, down payment grant and closing cost assistance. Freddie Mac does sponsor and develop this program, but note that borrowers do not actually work with Freddie Mac to qualify. Rather, borrowers must apply for the Home Possible program through an approved lender. These include banks, mortgage brokers and credit unions. 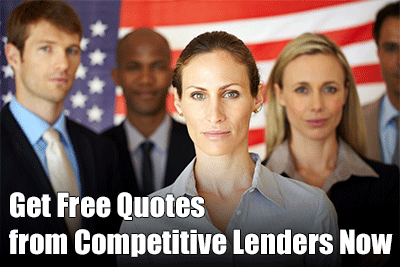 The approved lender will ensure that you meet all program eligibility and can qualify for the Freddie Mac loan. the 30 and 15-year fixed mortgage loans remain the most possible terms in 2017. As of this year, the Home Possible mortgage program requires you to have a credit score of at least 660. This is for a single-family home with a fixed rate mortgage. The minimum FICO for an ARM loan is 680. This is also the case for refinancing. If you want to buy a multifamily property, you must have a 700 FICO score. You should look at your credit score at least six months before you are ready to buy a home. If you are looking for a first time home loan with poor credit, we suggest making an effort to improve your scores prior to going through the mortgage underwriting process. Freddie Mac programs are well rounded with pretty flexible credit standards but they are by no means should be considered a “bad-credit home loan” product. The Home Possible program provides lenders discretion as far as what debt to income or DTI ratio to apply when they decide how much mortgage borrowers can afford. To summarize, the DTI ratio shows how much you spend each month on your debt payments. These include your total mortgage payment, credit cards and student loans. These payments are compared to your monthly gross income. The higher the DTI used by the lender, the more mortgage you can qualify for. Under this Freddie Mac mortgage program, the lender can use a higher DTI for a borrower who has a higher credit score. Also in your favor is a long work history and considerable savings. There is no exact figure, but most Freddie Mac approved lenders will use a DTI of 43-45%. Home Possible applicants may be limited in their income depending upon where the property is. Unless the person is buying a home that is in an undeserved area, your gross annual income has to be equal to or less than the median income for that area. However, income limits will not apply to those who are buying a property in any undeserved area. Properties that are in a high cost area may have borrowers exceed the median income for the area by up to 170%. For instance, if the high cost area has a median income of $100,000, the borrower income threshold is up to $170,000. All first-time home buyers in this program have to take a home ownership education class that has been approved by Freddie Mac. If you are buying a multifamily property, you have to take a landlord education class. This is a great mortgage for first-time buyers. A big plus of the Home Possible program is that you do not need to have reserve savings at closing for a single-family property. However, most experts do recommend that you have at least enough savings to cover three months of housing expenses. If you are buying a multifamily property, you have to have two months of mortgage payments in reserve. Your rate will depend upon your income, DTI and credit score. Borrowers with credit scores at 720 and higher tend to get the lowest rates. You should be able to get a rate with this type of credit score at the lowest possible conventional rate. But it will probably be higher than FHA, USDA or VA loans. If you put down less than 20%, you are required to have private mortgage insurance. Your monthly PMI payment is on top of your interest, principal and real estate taxes payment. This will protect the borrower if you were to default on the home loan. How much your payment is depending upon your LTV ratio and the length of your loan, among other factors. If you do not wish to pay mortgage insurance, ask about no PMI-loans that are offered by private sources. PMI for most Freddie Mac loan programs is cheaper than FHA financing loans. You do not have to pay an upfront PMI payment as with FHA housing products, and you also can have your PMI removed when your LTV is under 78%. FHA lending require you to usually keep the mortgage insurance for the life of the loan. The Home Possible mortgage program with Freddie Mac can be a good choice for the lower income borrower with an average credit score. If you have an income that is higher than what Freddie Mac loan allow, you may consider FHA home financing, which has no minimum income standard.